Recently I've been throwing a pile of records together that I'm hoping will resemble some kind of theme. 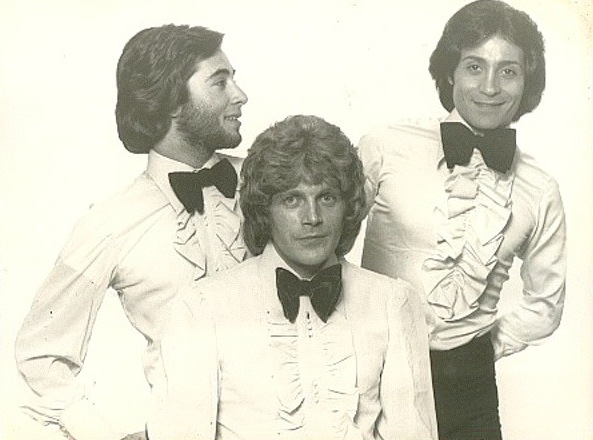 What I've got so far is a bunch of Blue-eyed Boogie, Yacht Soul, Funky Rock, and late 70's disco pop rock. Hopefully it will resemble the theme I'm thinking of, and I think I'm gonna call it "Bow Tie Funk". In that quest for more of that same sound and any thing that might strike me as the quintessential track for the comp, I'm flipping through more rock records than ever. Recently I came across this Rasa LP. Now, I'm a huge fan of hippy funk, so already it's a treat of an LP for me. I feel as though I've seen this record everywhere, and maybe even passed on it a few times. So, I give it a listen. I'm drawn to this 'Questions' song right away as the stand out track. 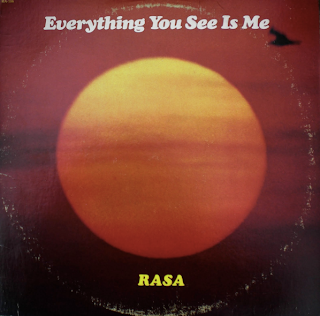 It's from this Lp "Everything You See Is Me" and mostly a groovy rock, hippy thing but, it certainly has its moments. The melodies left an imprint that lasted throughout the rest of my week long digging vacation. So, it'll most definitely make it on my mix/comp. and just thought I'd throw it up here as well. This blog will be updated when the mix is ready and a few nuggets from it may show up here before as well. In fact, I'm so lazy and busy (yes, both at the same time) it may not be a mix and end up just being several tracks on this blog. We shall see, but for now..n-joy!